Multi Account Manager is designed specifically for Money Managers that utilise the Metatrader 4 platform. It is ideal for traders that manage multiple accounts utilising Expert Advisors (EAs). 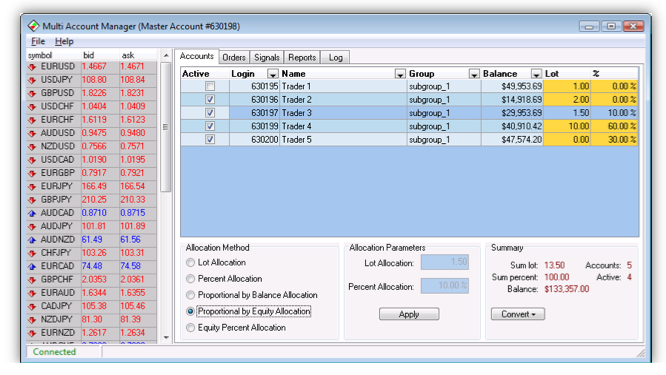 MAM broadens the functionality of the Metatrader 4 Platform by enabling the Money Manager to effectively trade and manage multiple accounts from a single MT4 interface.